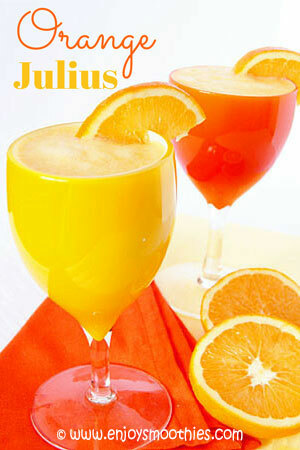 Oranges are probably one of the most universally loved fruit. They make a great winter fruit salad, a tangy citrus sauce or salsa, a frozen sorbet or a sangria. But now there is a new way to use them. 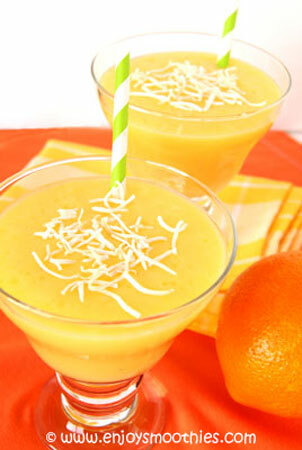 Did you know that oranges make great smoothies? Their citrus taste complements most other fruits, cuts down the bitterness of greens and adds a wonderful sweet taste, without being overly sweet. 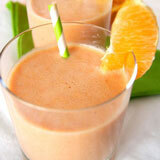 Our orange smoothie recipes will show you just how versatile they can be. 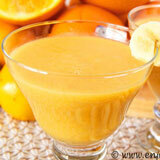 When using oranges in smoothies, you can extract the juice first. But why not use the whole orange (minus the peel of course). That way you get all that added fiber, great for your system. If using whole oranges peel them just prior to using. When buying oranges look for fruit that feels firm and heavy for its size indicating there is lots of juice. Avoid anything with bruised or wrinkled skin and anything with soft spots, it may be starting to go moldy. The most common varieties are Navel and Valencia. Navel oranges typically have a bright, orange color. They are seedless, easy to peel and very sweet, in fact they are thought to be one of the world’s best-tasting orange. Valencia oranges are a summer variety and sometimes have a greenish tinge. As they remain on the tree they re-absorb chlorophyll from the leaves giving them their green color. They are still ripe and can be safely eaten. Valencia oranges should be thin-skinned with a smooth, fine texture. This is my healthy version of that most famous of drinks. It still retains that distinctive orange flavour without the sugar. I highly recommend chilling your oranges first. 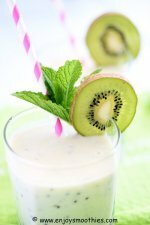 This will give your smoothie a much thicker, creamier consistency. Peel the oranges and divide into segments. Cut away any membranes from the segments. Place into a zip-loc bag and chill in the freezer for a couple of hours. 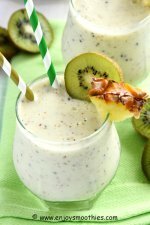 When ready to make your smoothie place the orange pieces into a blender, together with the orange juice, pineapple juice and vanilla. Blitz until smooth and creamy. Peel and segment both the orange and mandarin. 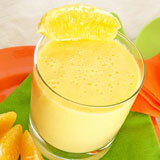 Add to a blender along with the lemon juice, orange juice and yogurt. Blend on high until smooth and creamy. Peel and segment orange. 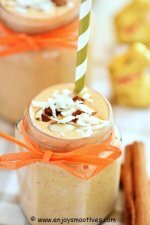 Place in blender, along with coconut milk, pineapple and mango. 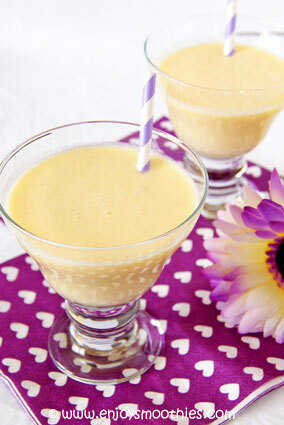 Because I made this out of season I used frozen pineapple and mango, but do use fresh fruit if available. 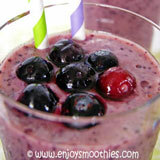 Blitz on high until all ingredients are blended and your smoothie is nice and creamy. Pour into 2 glasses and sprinkle over shredded coconut.